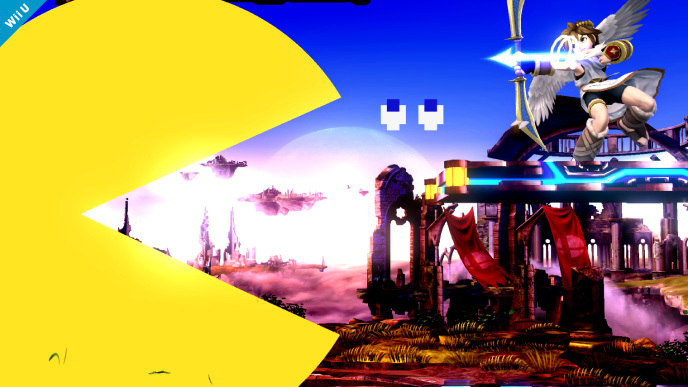 Waka waka waka your way to victory with Super Smash Bros. newest confirmed character. 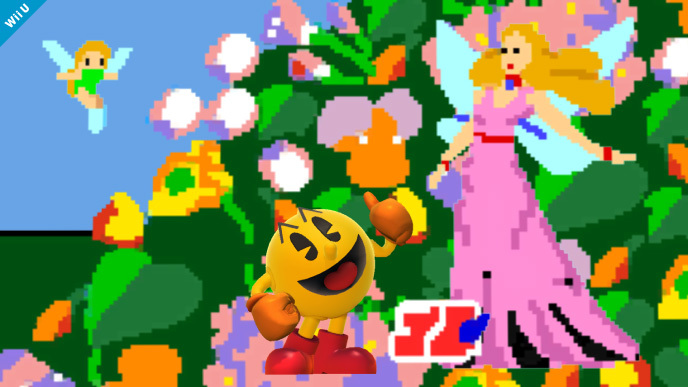 Yesterday, we saw Nintendo confirm the Mii Fighters and Palutena as new characters for its upcoming Super Smash Bros. for Wii U and 3DS, but it looks like they weren't quite done with new character announcements. 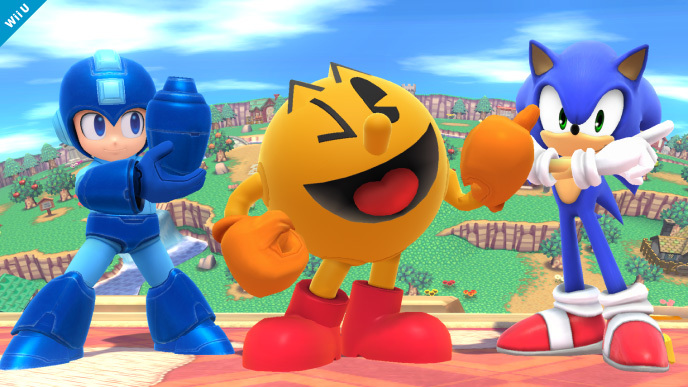 Pac-man, the iconic yellow pill muncher, will join other third party characters Sonic and Mega Man as the game's newest contender. 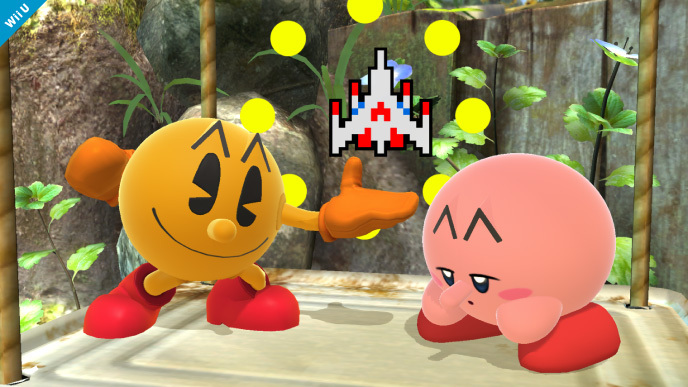 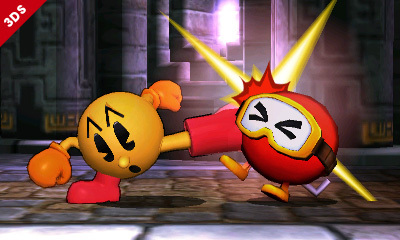 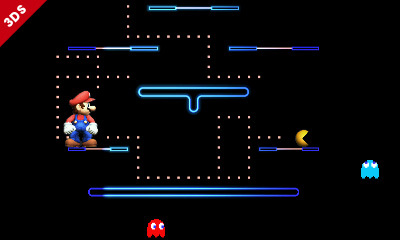 Pac-man's reveal video showed him using moves from his 8-bit legacy, as well as some attacks from his more modern games. 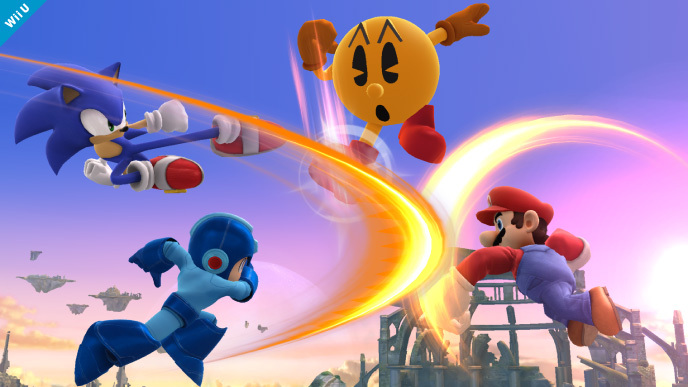 It looks like the character's model will essentially be based on his humanoid "box-art" model, rather than the simple yellow pie that he appeared as in-game, although for what appears to be his "final smash", he will revert to 8-bit form for a stage-wide attack. 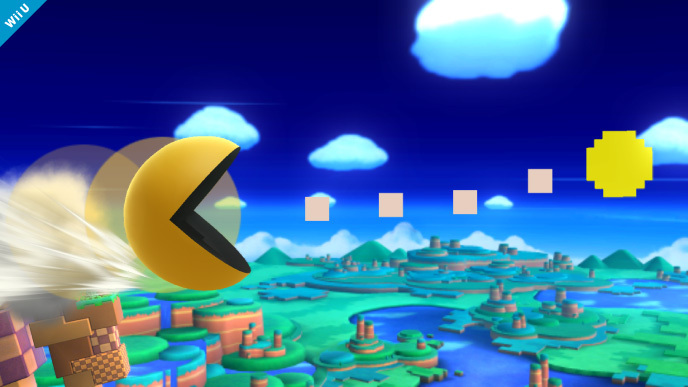 It also looks like there will be a Pac-man stage, that is possibly exclusive to the 3DS version of the game. 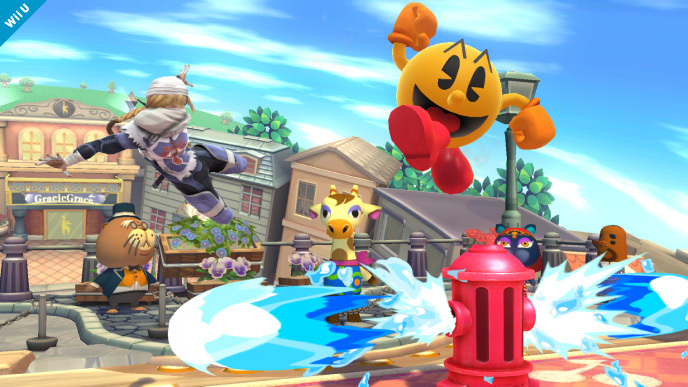 At the end of his trailer, we were treated to a glimpse of another familiar Smash Bros. face, who shares the same birthday as Pac-man: Mr. Game and Watch. 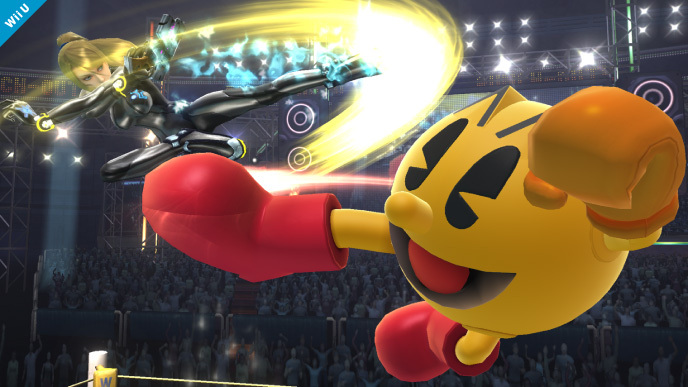 Mr. Game and Watch made his debut in Super Smash Bros. Melee, but has yet to be confirmed for the upcoming title. 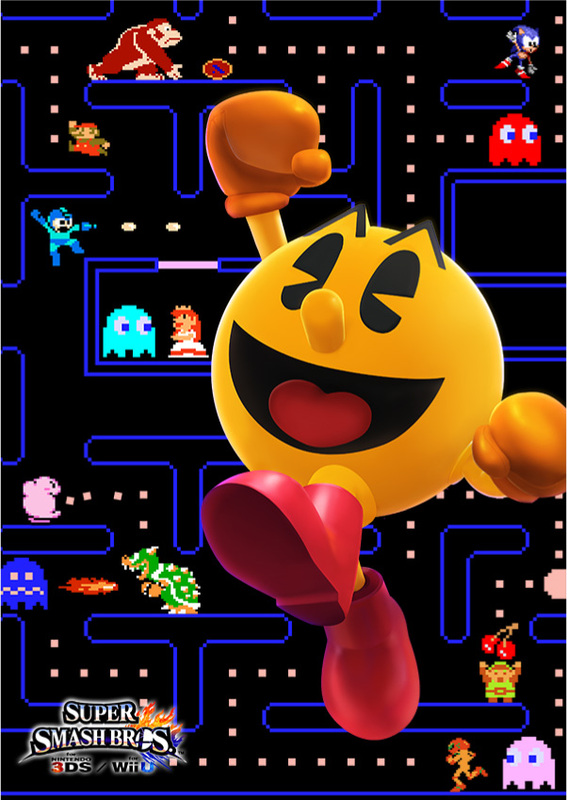 This is certainly an unexpected addition, but considering that the game is being developed by Bandai Namco (the owners of the Pac-man IP), and Pac-man's status as the icon of arcade gaming, it's certainly very welcome.